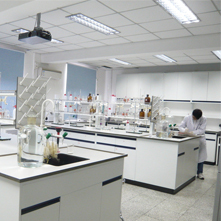 Hunan Heaven Materials Development Co., Ltd.
We engage in manufacturing kinds of new high-purity materials, new functional materials, new environmental materials, metal chemicals, alloying element materials, alloy intermediates and flux and so on. After years of development and efforts, we have already established stable cooperative relationship with more than one well-known global companies in this field, such as UMICORE、AKZO NOBEL、BRENNTAG、CLARIANT、MITSUI、 SOLVAY、SAINT GOBAIN，HENKEL ,COLGATE,PERRIGO,MYLAN etc. We're located in Changsha city, Hunan Province which with a long history and profound cultural background. We set up offices in Pudong District and our own warehouse Fengxian District in Shanghai. Central South University that has State Key Laboratory, State Engineering Research Center, National Basement and Research Institute in the same city Changsha as our company plays an important role in powder metallurgy, high-purity chemicals and metal chemicals research. It is is very convenient and reliable for us both to receive technical advice or test. In order to improve the level of technological innovation, our company also keeps in touch with Shanghai Silicate Institute of Chinese Academy of Sciences. We've also built our own high standard laboratory with a spectrum analyzer and the whole set of chemical analysis equipment. Our enterprise quality management system is in accordance with ISO9001 quality management system. Our company promote the enterprise spirit Reliable and Responsible and our tenet is science and technique for advantage, quality for survive , reputation for development. New High-purity materials and functional materials are widely used in the field of catalyst, optical glass, electronics, battery, solar energy etc. New Environment Materials are used in dealing with the household and industrial waste water and gas, and we also devoted to development and research of this technology and system. Metal chemicals are widely applied to produce feed, fertilizer, electroplating industry, oil industry, metallurgy and pharmaceuticals industry etc. Alloy material product is mainly used in the production of aluminum alloy, and reprocessing. keyword:High purity Chlorides-Copper Chloride|Manganese Chloride,Pharmaceuticals Application--Copper Chloride|Manganese Chloride,Battery Application-Copper Chloride,Manganese Chloride,Electronic Application-Copper Chloride,Manganese Chloride | Azodicarbonamide,Chromium chloride, Ferric chloride,Ferrous Chloride,　Ferric Chloride Hexahydrate,catalyst,Ferrocene, Titanium Dioxide,High Purity New Nanomaterials|Titanium Dioxide,Reduced Iron Powder|Titanium Dioxide,钛白粉|Titanium Dioxide,blowing agent, Dispersion,Plating,Nano,Cesium,Manganese,Copper,Ferrous,Iron Chloride,Azodicarbonamide,Chromium chloride Chromium,Catalyst,Chloride,Fluoride,Bromide-Hunan Heaven Materials Development Co.,Ltd-product: High purity alumina ,Titanium Dioxide,blowing agent,Ferrocene, High purity Fluorides , High purity Chlorides , High purity Bromides , High purity Iodides , High purity Oxalates , High purity Acetates , High purity Nitrates , High Purity New Nanomateri , High purity Rubidium Cesiu , Other Iron Chloride , Organic Quaternary Ammoniu , Organic Quaternary Phospho , Organic Quaternary Ammoniu , Organic Nobel Metal Series , Organometallic Compound , Other Organic Catalyst , Phosphine Ligand , Optical Material , Ferrocene Iron Powder , Iron-Carbon Micro-Electrol ,Titanium oxide, Trifluoromethanesulfonic A,We engage in manufacturing kinds of new high-purity materials, new functional materials, new environmental materials, metal chemicals, alloying element materials, alloy intermediates and flux and so on.